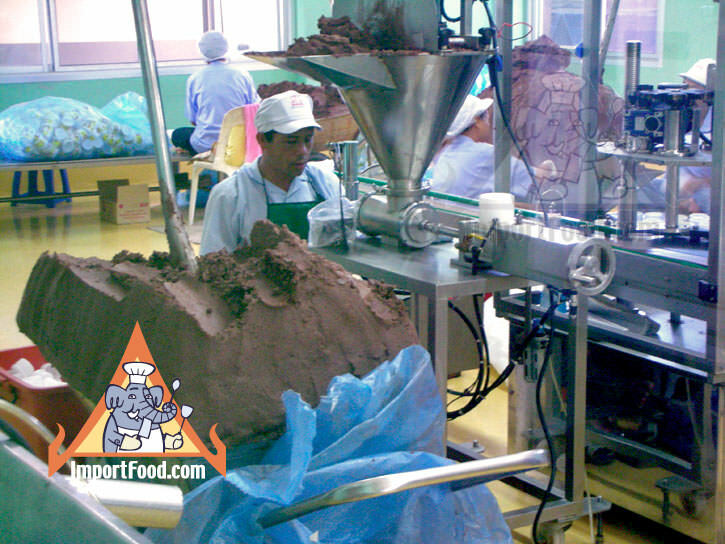 In our quest to provide you with the most information about our Thai food products, in this report we offer the first ever "inside look" at how shrimp paste is made, from the catch to the fermentation to the packaging. We hope you enjoy this information, and please feel free to link to this page. Shrimp paste is made with only plankton shrimp, which are tiny shrimp approximately 1 cm (less than half and inch) in size. After the shrimp are caught and brought to market, they're promptly mixed with salt and left to sit in a container for 2 days. The mixture is then dried under sunlight for 1-2 days. It is then pounded up and pulverized in the same way that a mortar and pestle smashes things together. The paste is then placed in a concrete tank, the same type used to make fish sauce, and left to ferment for 6 months, after which is becomes shrimp paste. The photos here show our visit to a premium shrimp paste producer, where a very large chunk of the paste sets in a sanitary, closed environment, on a table at the front of a conveyor belt. 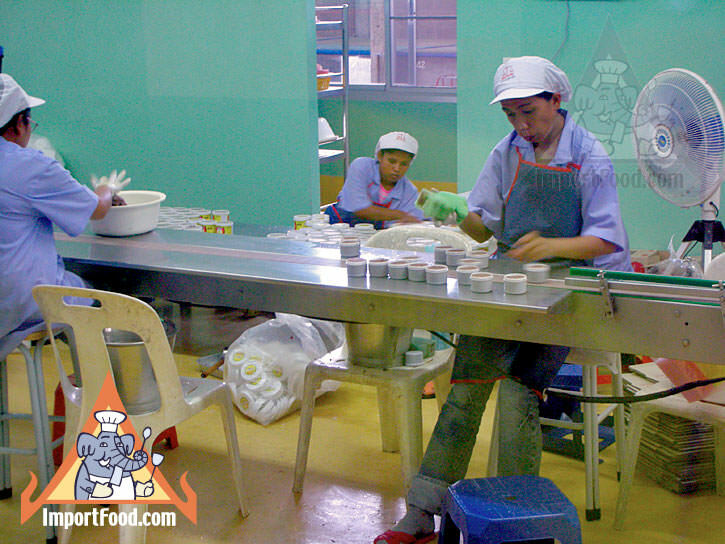 Workers in sanitary uniforms place the shrimp paste by hand into individual tubs, then it's sent down the line where a cap and label are added, then it's placed in a box for shipment. 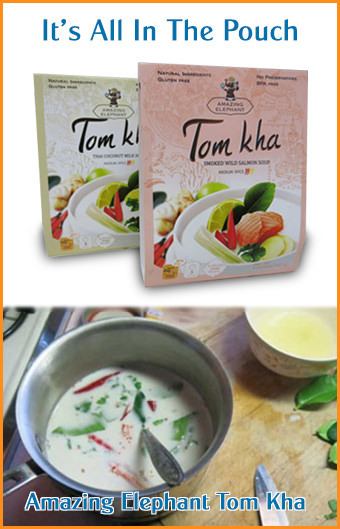 We offer shrimp paste and essential recipes at this link. 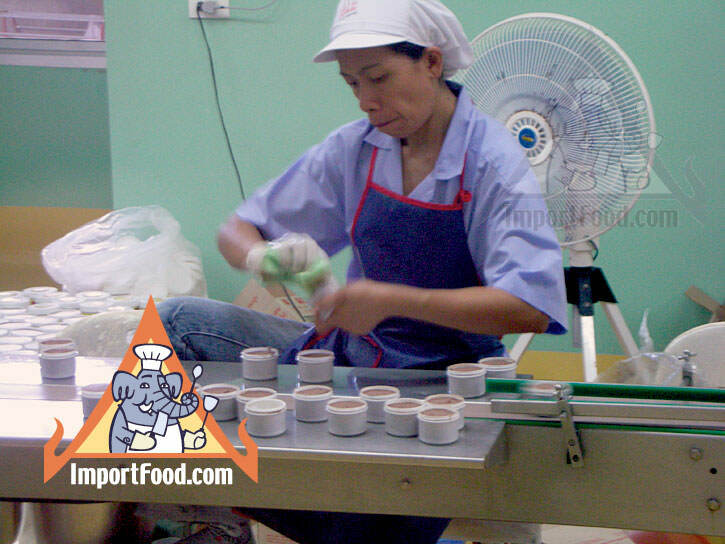 Do you know if Tra Chang produces anything other than fish sauce and shrimp paste in its facility? In particular, do you know if they process anything with sesame, egg, or gluten (protein in wheat, barley, rye)? My son has food allergies to those ingredients. Thanks in advance.